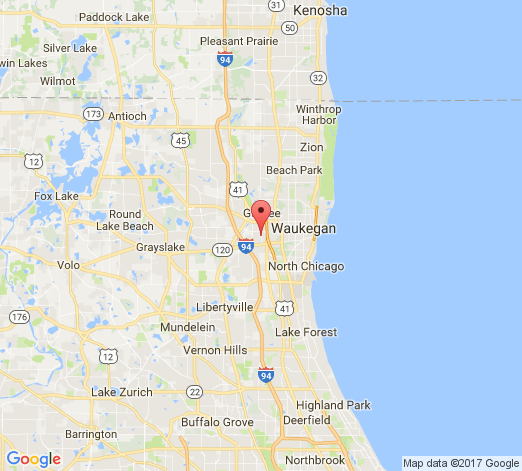 Delany Dental Care has 2 doctors at 1 office location. Implant Dentistry, Reconstructive Dentistry plus 10 specialties, 7 conditions treated, 25 procedures. 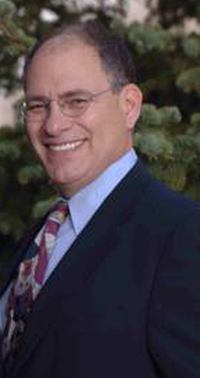 The office staff always make me feel personally welcomed and âat home.â Dr. Shapira has always been extremely compassionate and caring about my unique dental and health needs, as well as innovative and highly knowledgeable about various issues and treatments. I always feel confidant and comfortable in his care. For 15 plus years I have been seeing Dr. Amidei and his staff. Every time I walk in the office I feel like Norm form Cheers. Super friendly, professional and on time. My wife and I take our three children here and are very happy with their service. Dr Amidei is a precision dentist. He gets it done right the first time. His expert dentistry and highly skilled team of dental associates creates a dynamic smile your friends will envy. Be good to yourself. Make an appointment today at Delany Dental. Dr. Amidei and his team are amazing, professional and knowledgable plus caring and friendly (I can't say enough about how excellent they are). Their work is always done with precision, no short-cuts that cost extra in the long run. 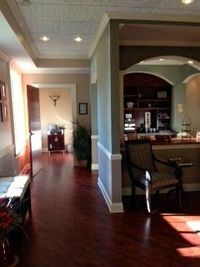 The office is comforting from the moment you walk in the door, the hospitality is more like a resort than a dentist's office. During procedures you have the option of wearing headphones and watching either the tv on the wall or the ceiling. The staff are always mindful of your pain and comfort, adjusting to reduce any discomfort and or anxiety you feel. My family has been going here over 15 years, and have no plans of changing dentists! I highly recommend Dr. Amidei and Delany Dental! I have been a patient at Delany Dental Care for over 20 years. Dr. Amidei is a fabulous dentist. He has wonderful bedside manner and does excellent dental work. He does a very thorough examination and even palpates for changes in my neck. I have never had dental care that treats me as family. They know the names of my children and ask about how they are doing. Dr. Amidei genuinely cares about his patients as people. I look forward to my appointments at the dentist office and I would never think I would say that in my life. Dr. Amidei has a beautiful, warm office with wonderful staff to immediately make you feel most welcome. Dr Mark is a perfectionist in all of his work, and most importantly needs for his patients to be and feel comfortable with all of his work. I would recommend him to anyone needing routine dental work as well as implants or cosmetic dentistry. Approximately 12 years ago Dr. Amidei preformed a complete reconstruction of my mouth. the procedure was handled extremely professionally and I experienced no pain. My teeth now, after many years , are still beautiful. They are very natural in bite color and shape and compliment my face perfectly. Along with the procedure, my facial and bite discomfort has disappeared. 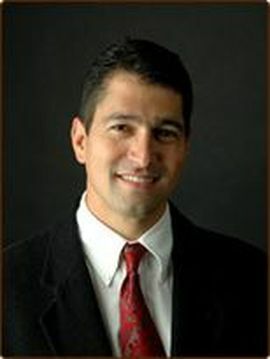 Dr. Amidei's skills, technique and knowledge are incredible and his office environment is pleasant, friendly and warm. Thanks Dr. Amidei! From the moment I stepped into Delany Dental Care, I knew I chose the right dental office. 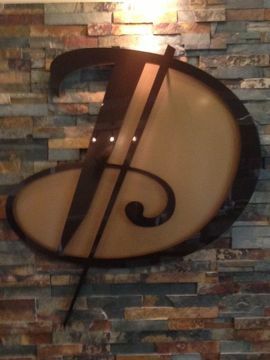 The staff gave me a warm welcome and made me feel very comfortable. They were very polite, friendly and professional. The office is beautiful, clean and inviting. Dr Amidei greeted me with a smile and a friendly manner. My hesitation in coming to the dentist had started to diminish. During consultation, I felt confident he was truly attending to my needs and giving me the best advice. His explanations were very clear and easy to understand. He is extremely professional and very interested in helping his patients. His care is truly admirable and the results have been amazing! I am headache free, my vertigo has lessened and my teeth are beautiful! Thanks for my gorgeous smile! I felt welcome in the office and the staff were extremely attentive. Dr. Amidei was helpful and caring. He and his team were knowledgable and professional. I would definitely feel comfortable referring friends and family to Delany Dental Care and Dr. Amidei. This office is amazing! Not only is Dr. Amidei extremely knowledgeable about his craft, but he makes you feel taken care of and comfortable. It is obvious that he has your best interest at heart. The dental hygienists are personable and thorough in their work. I would not go anywhere else! My experience with Dr. Amidei was fantastic, I am a nervous dental patient and Dr. Amidei has always taken time to make me very comfortable. The office is beautiful and the staff are always so wonderful to me! I first met Dr. Shapira and Dr. Amidei, and their wonderful staff, twenty-two (22) years ago. They saved my life. I had overheard a professor at College of Lake County talk about a "high tech superb dental practice," and I was suffering from a sore on my tongue that my former dentist and dermatologist discounted. I called Delany Dental for an appointment; Dr. Shapira immediately upon looking at my mouth persuaded me to go for a biopsy. I had squamous cell carcinoma on my tongue. After surgery and radiation, Delany has continued to provide all my dental needs: Routine check-ups, cleaning, checking with visilight (?) for cancer recurrence, inlays, onlays, gingivitis, bone loss, extractions,root removal, fancy structural reconstruction,and a very high-tech elaborate bridge. Delany Dental and Drs. Shapira and Amidei, plus the professional and personable office staff have kept me alive. They are family! Call now for an appointment!!! I first met Dr. Shapira and Dr. Amadei twenty-two (22) years ago. They saved my life. I had overheard a professor at College of Lake County talk about a "high tech superb dental practice," and I was suffering from a sore on my tongue that my former dentist and dermatologist discounted. I called Delany Dental for an appointment; Dr. Shapira immediately upon looking at my mouth persuaded me to go for a biopsy. I had squamous cell carcinoma on my tongue. After surgery and radiation, Delany has continued to provide all my dental needs: Routine check-ups, cleaning, checking with visilight (?) for cancer recurrence, inlays, onlays, gingivitis, bone loss, extractions,root removal, fancy structural reconstruction,and a very high-tech elaborate bridge. Delany Dental and Drs. Shapira and Amadei, plus the professional and personable office staff have kept me alive. They are family! Call now for an appointment!!! It was my first visit today at Delany dental care. I was so comfortable and felt like I was treated like a family member. I am so excited that I have a wonderful dental team to take care of me. I couldn't be happier with my treatment. I no longer have headaches and sleep through the night. Thank you so much Dr. Shapira!!! Wonderful team! Thanks for all of your help. 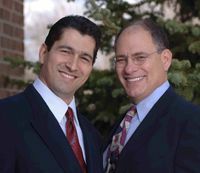 Led by Gurnee cosmetic dentists Ira L. Shapira, DDS, FICCMO & Mark J. Amidei, DDS, Delany Dental Care offers teeth whitening, dental implants, porcelain veneers, TMJ treatment & more! 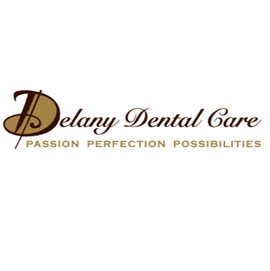 Delany Dental Care will provide you with the smile you have always wanted along with any general dentistry needs you may have. The dentists and team members at Delany Dental Care will work with you to create a customized treatment plan that will give you the unique results you want. General and cosmetic dentistry is a great way to improve your smile and enhance your overall appearance and confidence. Contact us today to schedule an appointment!